Check my credit score: What does a credit score of 580 mean? Anyone with a credit score of 580 is classified as having a “fair” credit score and is likely to find access to credit cards, loans, mortgages and other forms of credit to be often more difficult to attain than for those with higher credit scores. Credit scores, also known as FICO scores (FICO is short for Fair Isaac Corporation, a data analytics company that studies every move consumers make when they apply for loans, apply for credit cards, purchase things or pay their bills), are a fact of life. Consumers are scored on their financial habits. FICO scores determine eligibility for mortgages, car loans, credit cards, low-interest rates and apartment rentals. Even prospective employers are interested in your credit history. A credit score of 580 is below the average score of U.S. consumers and one that you will likely want to work on raising. Whether you are starting with a credit score of 580, or somewhere else along the 300-850 FICO range, unless you have a “perfect” credit score of 850, there is always room to improve. And improvement always starts with good information about your score and other elements of your credit report. Fortunately, that information is easy to attain and, often, is free for the asking. Your credit score is a single number summary of your much more extensive credit report. Like the dial of a speedometer or a scale, it gives you a single-point read-out of how you’re doing as measured against all consumers in the United States. How can you find your credit score? If you already have a credit card or other banking relationship, these institutions often include access to your credit score on your monthly statement or online portal. So be sure to start there — you may already have access to your credit score. Another great place to start is Credit Karma, which offers easy access to your score from one of the three credit agencies once you sign up for a free account. But remember, your score isn’t the whole story. It’s just shorthand for a point in time. For the bigger picture, you’ll need your full credit report. Federal law entitles you to a free copy of your credit report once every 12 months from the three major credit-reporting agencies: Equifax, Experian and TransUnion. You can get a free copy of all three bureaus’ versions of your credit report at AnnualCreditReport.com. Rod Griffin of Experian.com says, “It’s an important step in rebuilding and maintaining good credit.” We say: make sure you take advantage of your free annual credit reports. If you need access to your report more than once annually, then there are also paid options on each bureau’s websites. Our step-by-step guide to getting your credit report will get you started. Getting a credit report can be easy, but understanding the data reported can be a bit difficult, especially if you’ve never had to read a credit report before. 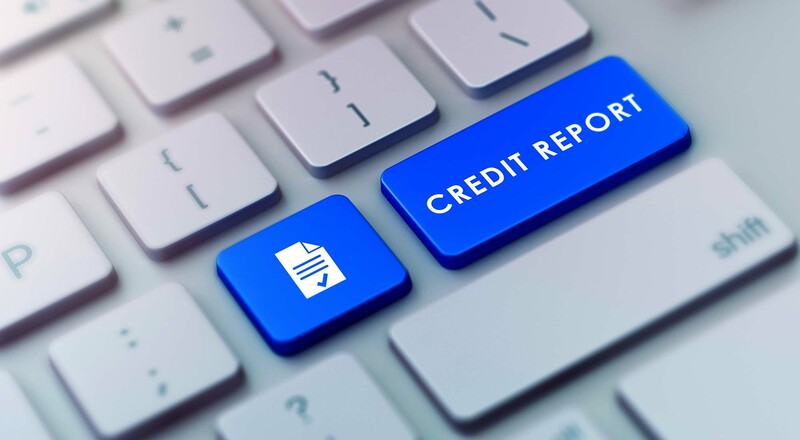 Each credit bureau organizes its reports slightly differently, so the sections may fall in a different order, but all of your reports should share the same basic parts. Personal Information: This is an important section to examine closely. Double-check to make sure all of the names in this section are yours. Be sure that all addresses and accounts are those you recognize. If not, that may suggest someone has used your personal information to open fraudulent accounts in your name. Be aware of your information. Inquiries on your credit: There are two different types of inquiries you’ll find in this section -hard inquiries and soft inquiries. Hard inquiries happen when you allow a potential creditor to check your credit score. Soft inquiries, which don’t affect your credit scores, happen when you check your own credit or a third-party is authorized by you to make a soft inquiry. Accounts: This section is the meat and potatoes of your credit report that lists all of your accounts that are not in collections or default. Check to make sure you recognize all of the names and addresses of each creditor and the date it was opened, the status of each account (make sure if it’s a closed account, that it is listed as closed), the type of account (credit cards, car loan, etc.) and your credit limit on each loan. Also, be sure to check that your credit history doesn’t show any errors. For more, and to learn how and where to dispute any errors you find, check out our full report on reading and understanding your credit report. There are no big secrets to improving your credit score. It’s all about knowing your score, knowing why your score is what it is, and changing financial behaviors in a way that will improve your score over time. Your credit score is uniquely yours. As far as banks, lenders and even employers are concerned, it’s the best quick indicator of your individual financial fitness. Many factors go into a credit score, including your payment history, your credit limits, your percentage of available credit and more, as well as big items such as defaults and bankruptcies. Moving your score significantly in a relatively short period of time is very doable, even in just six months. But how do you get there? What should you focus on? Here are five steps you can take to make big improvements in your credit score. Want to learn the five steps to quickly improve a credit score? Take five minutes to read our five-step guide to a better credit score. Every day, responsible consumers who think they’re doing everything right unwittingly put their financial reputations at risk. Not paying when a charge is in dispute: Even if a transaction is challenged, the account holder is expected to pay each month. The disputed charge will be designated as pending, but the cardholder is responsible for payment until the matter is resolved and a refund is issued. Cosigning for friends or relatives: This could, and often does, have terrible repercussions down the road. Most people think of a cosigned loan as a shared responsibility, but in fact, the entire burden shifts to the cosigner if a friend or relative falls behind. Cosigning is potentially disastrous for credit scores and relationships alike.